On the 2nd and 3rd November 2018 McNaughtan’s will be exhibiting at the Chelsea Antiquarian Book Fair in London, where you will be able to find us at stand 70 in the Small Hall. Held each autumn in the beautiful and historic Chelsea Old Town Hall, the fair brings together more than 80 exhibitors specialising in antique books, first editions, maps, prints, and manuscripts from all over the world. 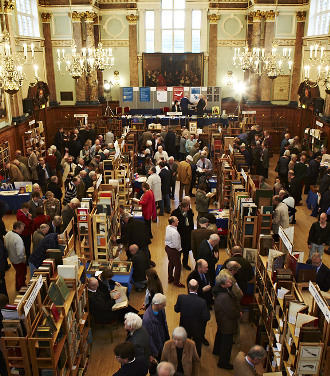 In addition to the regular exhibitors there will be a line-up of unique events, including guided tours designed to introduce visitors to the world of rare books. We have free tickets for the fair available in our shop.